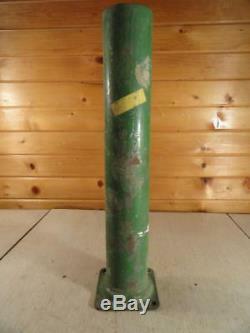 John Deere NOS NEW 620 720 Air Stack Precleaner Pipe Tube Part number AF3581R This is the correct height pipe for the 620 720 only. This is a new, never used pipe. It is in new, never used condition. This is what is called a New Old Stock part. It does show some shelf wear. 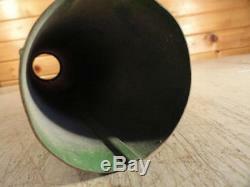 John Deere NOS NEW 620 720 Air Stack Precleaner Pipe Tube. This is the correct height pipe for the 620 720 only. Parts Inquiries and General Questions Welcome!! 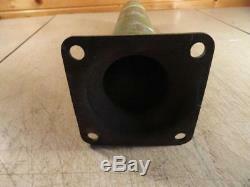 Specializing in John Deere Two-Cylinder parts, tractors, and repair MODELS A B G 50 60 70 520 530 620 630 720 730. Get images that make Supersized seem small. 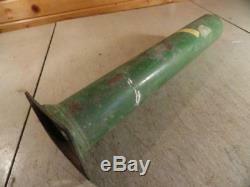 The item "John Deere NOS NEW 620 720 Air Stack Precleaner Pipe Tube AF3581R" is in sale since Tuesday, October 2, 2018. This item is in the category "Business & Industrial\Heavy Equipment, Parts & Attachments\Heavy Equipment Parts & Accessories\Antique & Vintage Equipment Parts".